R&B Distillers’ Raasay Distillery has officially opened (BBC News). Community owned distillery, Glenwyvis, is running a second share offer in the hope of raising £750,000, with the first of its new make spirit due in November (The Coop News). Plans submitted by the Cabrach Trust to create a distillery and heritage centre have been approved (Press & Journal). Whisky distilling is set to return to Newry in Norther Ireland for the first time in 200 years, after plans for a new distillery were submitted (The Spirits Business). Scotch whisky distilleries attracted a record-breaking 1.7 million visitors in 2016 – up 8% on the previous year (The Spirits Business). Perth-based Whisky Auctioneer has launched a new wine site, offering an accessible way to trade fine, old rare and collectable wines (The Herald). Isle of Harris Distillers – which is more famous for its gin – is increasingly its single malt stocks, having secured a £1.7m financial support package (BQ Live). A rare collection of all 16 Port Ellen releases are due to go under the hammer, with an estimated worth of between £23,000 and £25,000 (The Herald). Ardnamurchan Distillery is offering buyers of its whisky key information on the bottling, thanks to a tie-up with arc.net (The Herald). 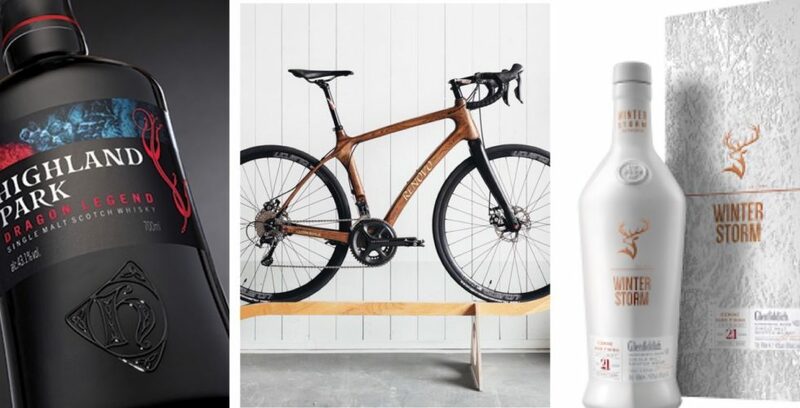 And Renovo has had a super-sleek road bike created from old Glenmorangie whisky casks (Road CC). And it might be a while off, but it’s been announced that The Glenlivet 12 Year Old is expected to return in three years, following a recovery in stocks (Scotch Whisky). If you’ve deep pockets, then you can count down to Christmas with this £10,000 whisky advent calendar (Daily Record).